Angela Bassett (What's Love Got To Do With It, How Stella Got Her Groove Back) has signed on to join Martin Campbell's Green Lantern, playing the role of Amanda Waller. 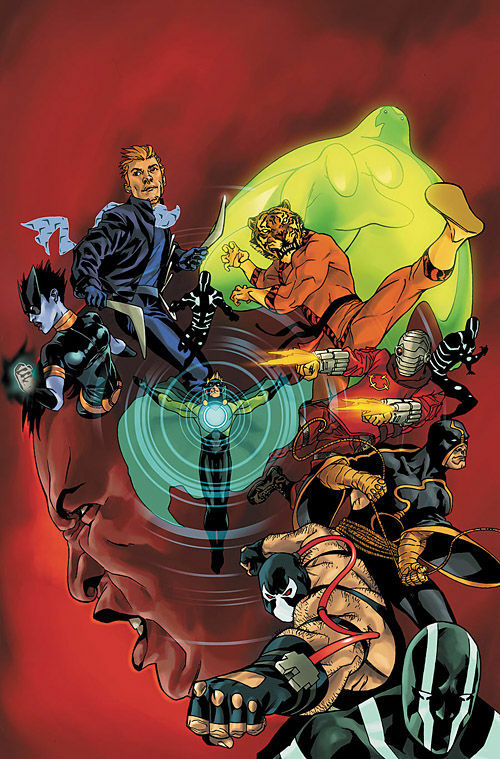 In the comics, Waller is a covert ops director specializing in "metahuman affairs." She is also the head of the Suicide Squad, an agency tasked with chaperoning captured supervillains who work with the government to make deals for their eventual freedom. The casting of this particular character makes sense, considering WB's recent edict that DC comic films will be their new core properties in the coming years. A character like Amanda Waller has the potential to span multiple films - much like Marvel's S.H.I.E.L.D. agents (which so far includes Samuel L. Jackson as Nick Fury and Clark Gregg as Agent Phil Coulson) establishing the Avenger Initiative. Perhaps DC Entertainment is looking for their own central connection to tie their brand of superhero films together. Heat Vision reports that the extent of Waller's role in Green Lantern is currently unclear; the Suicide Squad might appear in the film, but we may be seeing a brief tease as setup for future films (I'm banking on the latter). Also of note is the similarity of the Suicide Squad to The Boys, Garth Ennis' comic series about a team of government-employed agents trained to keep superheroes in line. The Boys was picked up back in 2008 for a feature film adaptation, with Nightmare on Elm Street director Samuel Bayer and Hot Tub Time Machine actor Rob Corddry both showing interest in the past month. Green Lantern won't be the first time comic book fans have seen Amanda Waller onscreen, though. The character has been voiced by actress CCH Pounder (Avatar) in Justice League Unlimited, and played by Pam Grier (Jackie Brown) in Smallville. This also isn't the first time Bassett has played a government agent: she took on the role of CIA Director Hayden Chase in J.J. Abrams' TV series Alias back in 2005, so I'm sure she will have no problem stepping back into some authoritative shoes. Green Lantern marks Bassett's first role in a major tentpole release, and she joins an already-solid cast of Ryan Reynolds, Mark Strong, Tim Robbins, Blake Lively, and Peter Sarsgaard. Production on Green Lantern has already begun in Louisiana and you can see the first set photos right here. The movie is set for a June 17th, 2011 release date.